Motivated her desire to find an interesting and meaningful career, Carol Bennett pursued a combination of library science, journalism, and acting over the years. She started out at the reference department at the Howard-Tilton Memorial Library at Tulane University, where she met someone who had worked with the U.S. Army Libraries. Ms. Bennet applied at their recommendation because the prospect of seeing the world enticed her. She subsequently traveled to Germany with the organization and became responsible for several international military libraries. Upon her return to the U.S. two years later, she used her experience to serve local libraries like the Princeton Public Library. Ms. Bennett also began taking classes at the University of Maryland around that time. She became very interested in journalism and reporting, so she became a reporter for the Alabama Radio Network and a Washington correspondent for the weekly Washington-Alabama News Report. She held those positions until she retired in 2001. On the acting side of the spectrum, Ms. Bennett found joy in being on stage. She notably played Blanche Dubois in “A Streetcar Named Desire” at Summer Stock at the Weathervane Theater and appeared in five other plays there, including “40 Carats,” in which she had the lead. Additionally, Ms. Bennett was the girl in “There’s a Girl in My Soup” at the Garland Dinner Theater in 1978. She also appeared in the films “Kennedy” and “Prime Risk,” and was a non-speaking Supreme Court justice in the Netflix series “House of Cards.” She hosted the television series Modern Maturity on PBS from 1986 through 1988. 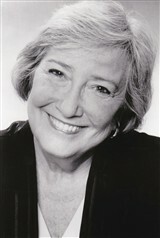 To prepare for her endeavors, Ms. Bennett earned a Bachelor of Arts from the University of British Columbia in 1960 and a Bachelor of Library Science at McGill University in 1962. She also became involved with prominent organizations like the American Association of University Women, SAG-AFTRA, the National Press Club, the Society of Professional Journalists, and the History and Heritage Committee. In her free time, Ms. Bennett enjoys reading.